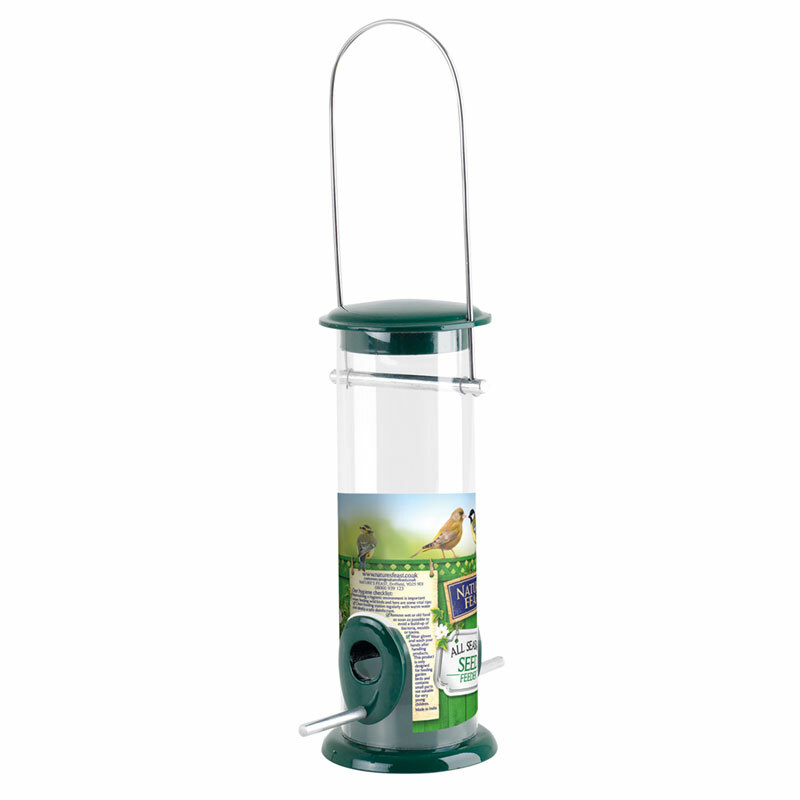 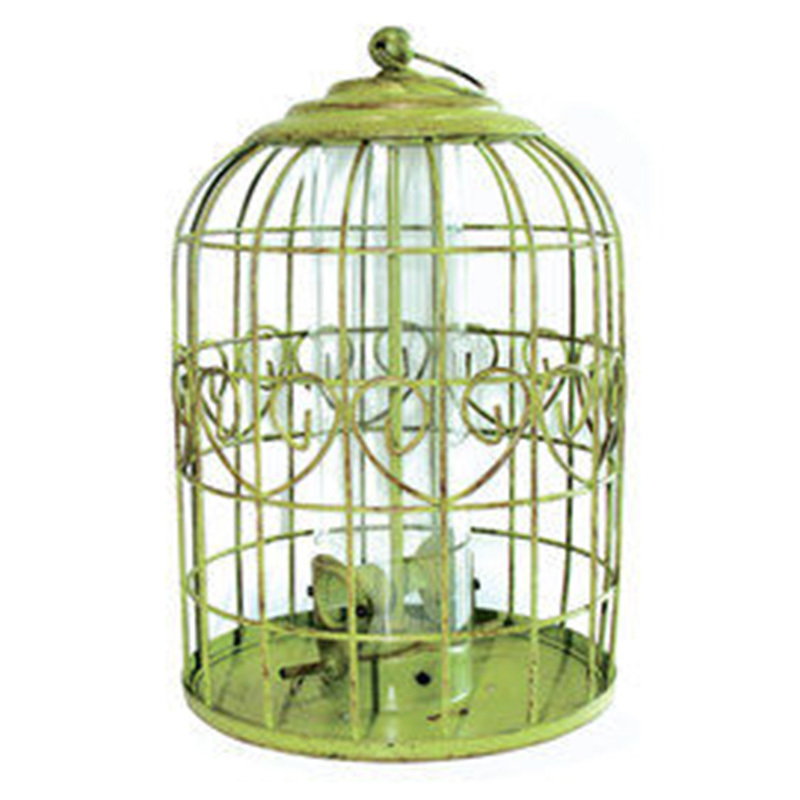 Wild bird food with a high energy oil content, suitable to feed all year round. 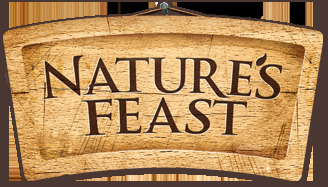 Contains: Wheat, Chopped Maize, Black Sunflower Seeds, Red Dari, White Dari, Naked Oats, Yellow Millet, Red Millet & Vegetable Oil. 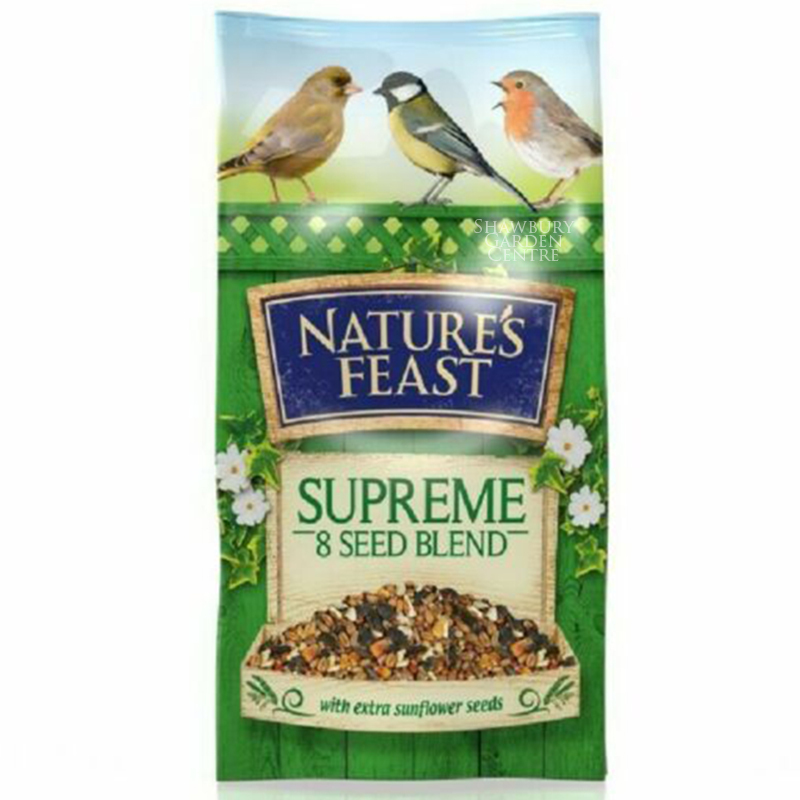 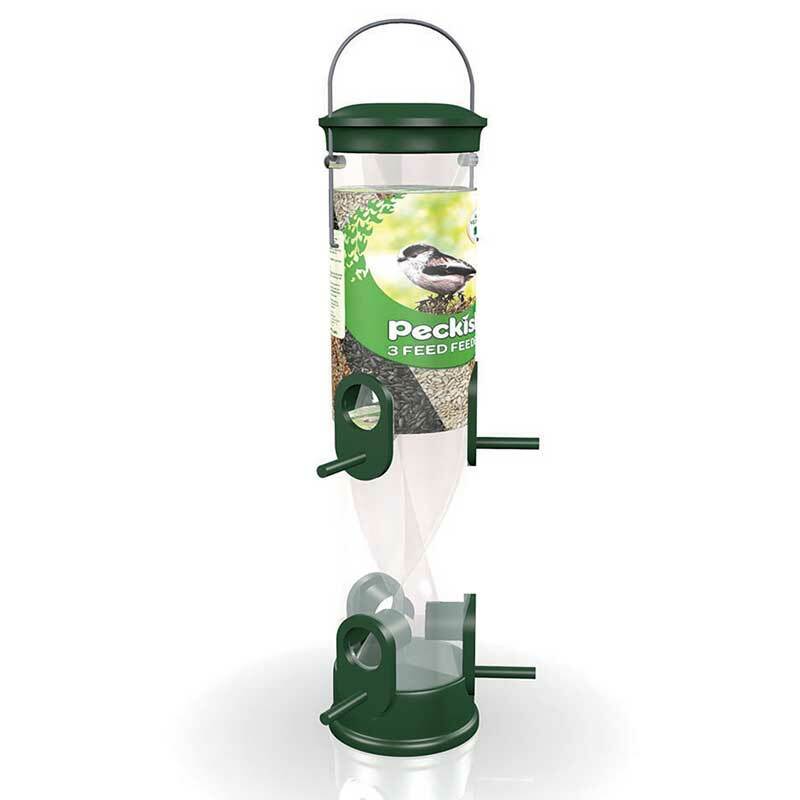 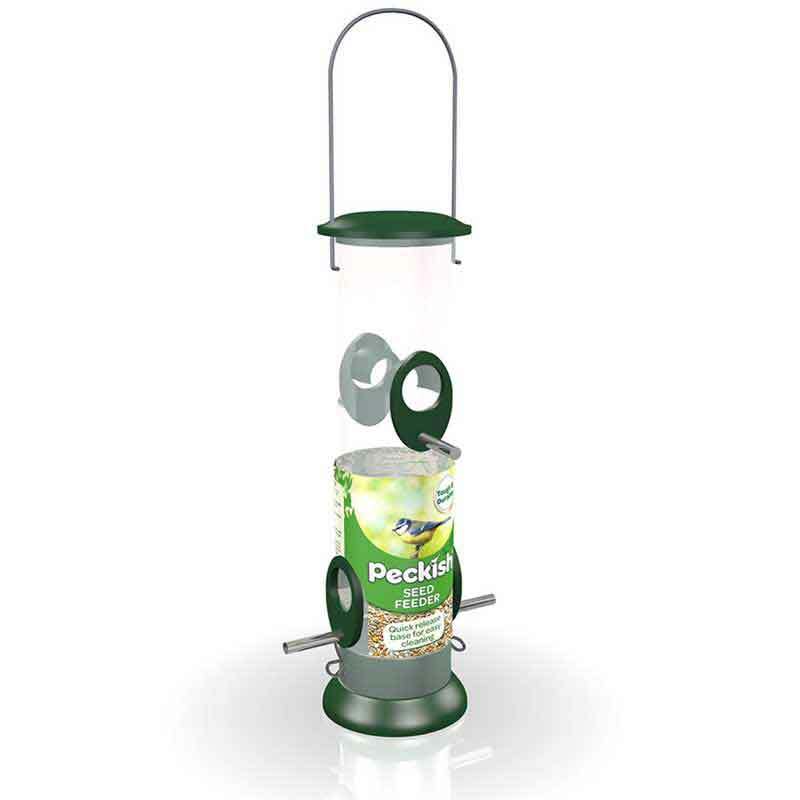 If you would like further information about Nature's Feast Supreme 8 Seed Blend Bird Feed, please contact our garden centre at Shawbury just outside Shrewsbury in Shropshire, by calling 01939 251315 or emailing.